The first time I dusted off my kitchen scale with the low FODMAP diet, was to weigh dark chocolate (you can see where my priorities are). The Monash app states that 5 squares of dark chocolate is a green light portion. However the size of the square can range significantly between bars. 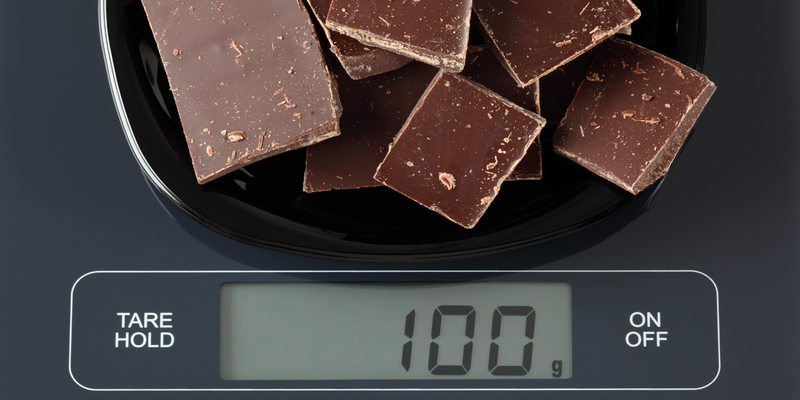 In order to get the most dark chocolate without going over, I threw it on the kitchen scale. I like to maximize on foods like chocolate. I have come to realize that measuring your food is way more accurate and in some cases allows you to have more than what you expected. 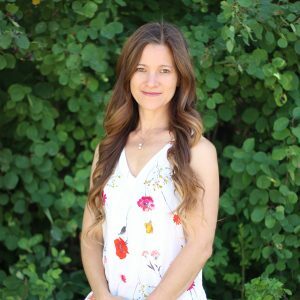 Here are five reasons why you need to use a kitchen to scale while following the low FODMAP diet. You will hear me say this over and over again. During the elimination phase, you need to pay attention to, and follow the portion sizes that are outlined in the Monash or FODMAP Friendly apps. Portion sizes are crucial for symptom control and they form the foundation of the low FODMAP diet. When you exceed your potion size, you are at risk of over consuming FODMAPs in that meal. This may lead to digestive symptoms and confusion. In order to follow the low FODMAP portions, you must have an accurate way of measuring food. For example, how do you measure half a cup of broccoli? If you chop it very finely, the measuring cup will fit lots of broccoli. If you use a large stalk, it will be half empty. The same things goes for bok choy. How do you measure one cup of bok choy? Do you stuff the cup full or lay the leaves gently? The best way to follow your FODMAP portion size, is to weigh it. In some cases, weighing your food may allow you to have a more. Take for example avocado. The green light portion is 1/8th or 20 grams which is based on a large avocado weighing 160 grams. My avocado is much smaller and weighs only 110 grams which means that I can eat just under 1/5 (20 grams) of this avocado. On the flipside, the portion size for blueberries is 20 blueberries or 28 grams. Twenty eight grams of my blueberries equaled only 15 blueberries. Take dark chocolate for example. The serving size is 5 squares or 30 grams. There is no volume measurement for chocolate. Cheese is another great example of where you will need a scale. The portion size for cheddar is 2 slices or 40 grams. Without a scale, do you know what 40 grams of cheddar looks like? The volume measurement for grated mozzarella is included, but there could be a large variation in the amount depending on whether you pack the measuring cup or not. Corn chips are another great example. The portion size is 1 small packet or 50 grams. Do you have any idea what 50 grams of corn chips look like? Without a scale, I don’t either. I like to highlight that traditionally made sourdough bread (wheat, spelt or oat), is low FODMAP. The Monash app states two slices. However, slices can vary greatly especially for a round loaf! It is essential to weight your slices so you don’t exceed the 109 gram portion for white sourdough. Please note that the portion size of the other traditionally made sourdough breads varies (refer to the Monash app for exact weights). The FODMAP Friendly app tests foods by weight, not the volume (verbal communication). You don’t have to spend a lot of money on a fancy scale. My digital scale was $10 at the grocery store or you can buy one on Amazon for about the same price. If you aspire to appear on America’s Test Kitchen or would like to have Gordon Ramsay for dinner, you should probably do what the professionals do, and use a scale. Have I convinced you? I hope so. As a FODMAP trained dietitian, I want you to follow the serving sizes outlined in the Monash or FODMAP Friendly app with the least amount of confusion possible. That means, you need a kitchen scale and you need to be in the habit of weighing foods so that you don’t exceed the serving sizes or find yourself being needlessly overly restrictive.